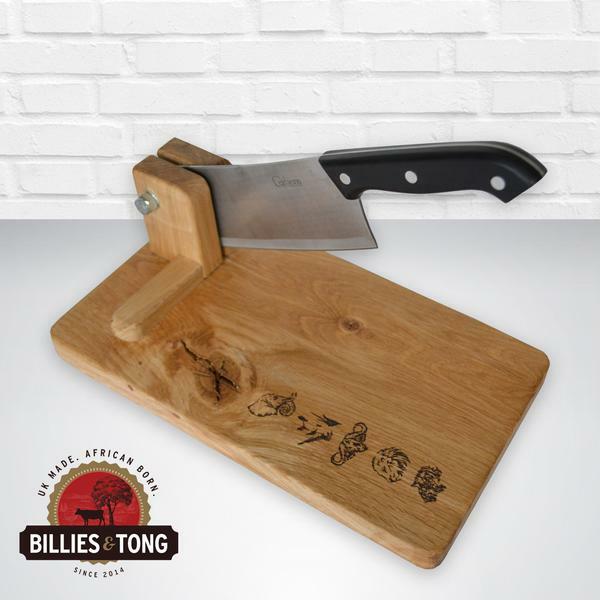 Purchase a solid oak biltong slicer / chopper to go with your biltong box. This slicer has been engraved with the Africa Big 5. It is the perfect gift for a loved one and all biltong lovers!